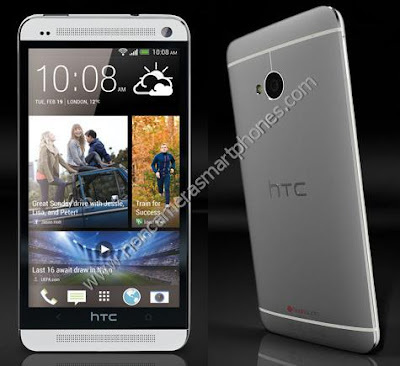 HTC ONE Android Smartphone Features, Reviews & Prices in India. ~ All Android Smartphones Mobile Phones Tablets Review Price. HTC One Smartphone runs on Android 4.1.2 Jelly Bean OS with 4.7 inch Super LCD3 capacitive touchscreen. The premium HTC phone is powered by Quad-core 1.7 GHz Krait 300 CPU processor and uses a Qualcomm APQ8064T Snapdragon 600 chipset board. The phone comes in 32 & 64 GB variant models with 2 GB RAM. The 16M multitouch screen offers a display resolution of 1080 x 1920 pixels. The phone supports loudspeaker feature with built-in stereo speakers amplifiers. The multi touchscreen android smartphone works at 2G frequency of GSM 850 / 900 / 1800 / 1900. The phone operates at a 3G frequency of HSDPA 850 / 900 / 1900 / 2100 and 4G LTE. The phone dimension are 137.4 x 68.2 x 9.3 mm and the android smartphone model weighs only 143 grams. The phone supports vibration, WAV & MP3 ringtones for call alert. The phone supports 3G speed of HSPA+; LTE, Cat3, 50 Mbps UL, 100Mbps DL and WiFi speed of Wi-Fi 802.11 a/ac/b/g/n, Wi-Fi Direct, DLNA. The phone is available in only Black, Silver and Red color. 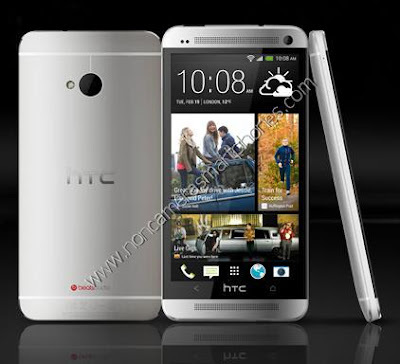 Explore HTC One 3G Android Smartphone Features, Specifications, Images, Photos, Comments, Review & Price in India in 2013. The smartphone supports EDGE, GPRS, 3G, Wlan WiFi hotspot for internet connectivity and bluetooth v4.0 with A2DP, NFC, microUSB v2.0 and infrared connectivity. The GPU used in the phone is Adreno 320. The smartphone features Accelerometer, gyro, proximity, compass sensors. The phone supports threaded view SMS, MMS, Email and Push Mail. The built-in applications in this smartphone are Google Search, Maps, Gmail, YouTube, Organizer, Calendar, Google Talk. 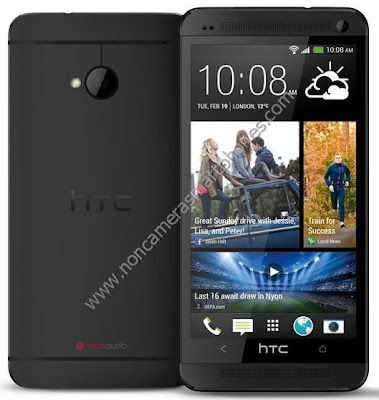 The HTC One smartphone also supports WhatsApp and Skype for internet messenger chatting. The phone uses a 4 MP camera with 2688 x 1520 pixels support and secondary camera of 2.1 MP with 1080p@30fps. The phone supports Stereo FM radio with RDS, Java MIDP emulator, A-GPS and GLONASS. The video player formats supported are DivX/XviD/MP4/H.263/H.264/WMV player. The audio player formats supported are MP3/eAAC+/WMA/WAV/FLAC player. The phone supports 3.5 mm universal audio jack. The phone uses a non-removable Li-Po 2300 mAh battery which supports up to 27 hours of talktime and 479 hours of standby time. Also check Samsung I9300 Galaxy S III 3G Android Smartphone Features, Specifications, Images, Photos, Comments, Review & Price in India. 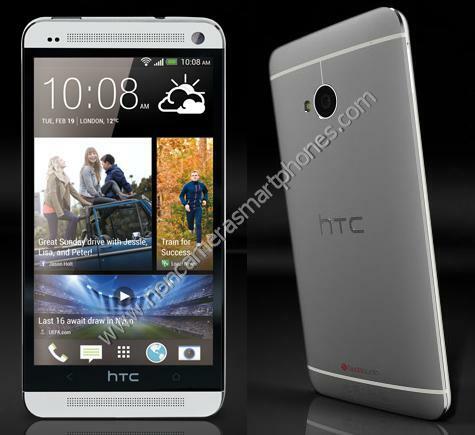 Features and Specifications of HTC One. LTE ( Long Term Evolution ). No external memory card slot available. 32/64 GB, 2 GB RAM. Available with built-in stereo speakers. HSPA+; LTE, Cat3, 50 Mbps UL, 100Mbps DL. Wi-Fi 802.11 a/ac/b/g/n, Wi-Fi Direct, DLNA. 4 MP, 2688 x 1520 pixels, autofocus, LED flash, 1080p@30fps, HDR. Google Search, Maps, Gmail, YouTube, Organizer, Calendar, Google Talk. Non-removable Li-Po 2300 mAh battery. The Price of HTC One Android Smartphone in India is Rs. 45,950 /- only.